As Christians, we know that the very basis of our religion is our salvation: that Christ died on the cross so that we may have eternal life not by anything that we have done, but through His sacrifice and grace alone. We KNOW this, we tell ourselves and others this often. Still, sometime anxiety can start to creep in bringing with it thoughts of doubt. At one point in our walk or another, I feel this is likely something that all Christians will deal with to some degree. Some may doubt God himself of course... but for so many others, we start to doubt ourselves. We know that Jesus paid that ultimate price and that He is the only way to salvation... but is our faith strong enough? what if we're not as 'good' a Christian as so and so. what if we struggle to do the right thing? what if, what if, what if? That doubts starts to creep in and can fill us with fear and make us feel like we just cannot be good Christians. That's a dangerous idea but one that is all too common. And it is just those doubts that 'Assured' seeks to address. This was a really great read. It's of course not a lighthearted read, tackling with these deep questions that plague our walks of faith. Still, in the end I think we can all walk away with a bit of peace...and more importantly, assurance. Many of the verses that we read throughout this book are going to be verses that we are all very much familiar with. But despite our familiarity, sometimes the details can be lost in us. We need to take a deeper look and discover what they're really saying and this book does just that in a way that makes sense. It was a fairly quick read- I personally finished in just a few hours- but packed full of scriptural references and assurances of our salvation throughout. Each chapter takes a look at where are doubts stem from, the lies that hold us back and more importantly, why we can and should rest assure that despite our imperfections, salvation is not lost. Overall, it was a really interesting read and one that I would definitely recommend to anyone who deals with that same doubt. 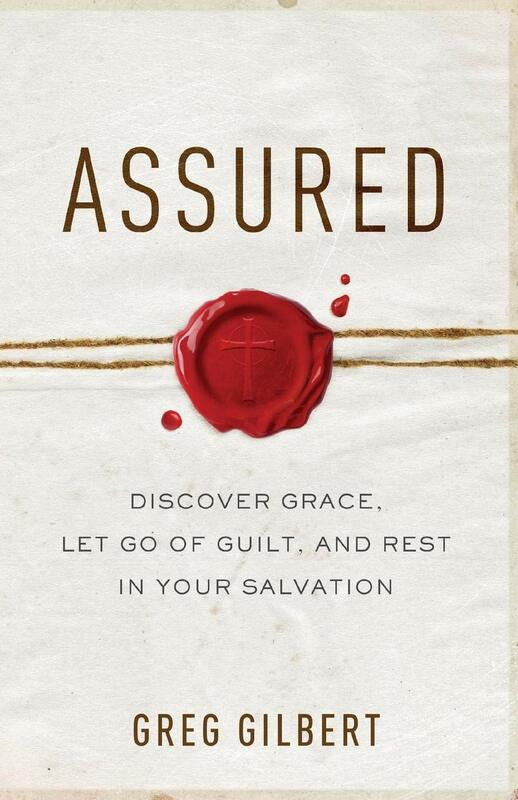 'Assured' is available to purchase now at your favorite Christian book retailers.